Prior to the short study tour as part of our Core Course Week, our Translational Medicine course had only been together as a group during our weekly class lectures and periodic fika (coffee and pastry) breaks. This all changed (minus the fika) when the group of 22 students and I, along with our professor, Cecilia, and our tour leader, Stephanie, embarked on an expedition to Uppsala and Linköping outside Stockholm, Sweden. In Uppsala, we visited a medical diagnostic company called “Q-Linea.” As noted throughout the presentation and in the company’s mission statement, “Q-linea develops procedures, instruments, and systems… particularly in the field of microorganism detection.” A large portion of their current work focuses on the process of finding quicker ways to diagnose Sepsis, the existence of harmful toxins or bacteria found in an infected wound. After learning about both the biomedical research and business ends of Q-Linea, located less than a kilometer from Uppsala University (the oldest University in Sweden), our group departed from the science park and set out to take in the picturesque landscape of rural Sweden. Our combined experiences of touring the historic town of Sigtuna, settling into our hostel in the quaint municipality of Borensberg (of less than 3,000 people), taking a dip in the icy lakes (followed by a quick sprint to the sauna), and canoeing down the peaceful Borensberg Göta Kanal all made for an excellent way to take in the pastoral features of genuine Swedish history and culture. If you find yourself in the Linköping neck of the wounds and have already gone bike-riding through the town, canoed down the Göta Kanal, and took a Fika (or two) at a nearby café, don’t fret; there are still plenty of sights to see and fun things to do! Our class also took a tour of Brunneby, a small family-run business offering some of northern Europe’s freshest and most natural foods and products. It is built on an old and historic estate where you can find farms, gardens, and even a medieval church yard dating back to the fifteenth century. I personally recommend the Lingonberry Juice! Additionally, we toured and attended lectures at Linköping University and its Departments of Clinical & Experimental Medicine and Medical & Health Sciences (IMH) Division of Drug Research. These talks focused on critically important and relevant topics such as cancer drug research for Myeloma and Leukemia (both originating in the bone marrow), coagulation (blood clotting) and the role of platelets in hemostasis, and the formation of thrombi (again, blood clots) in flow chambers. The work currently being carried out and the discoveries that have already been made at these academic research institutions are quite impressive, not only for scientific researchers and developers, but for humanity as a whole. I can confidently say that my core course week with my Translational Medicine class to Uppsala and Linköping has been one of my main highlights thus far in Sweden. 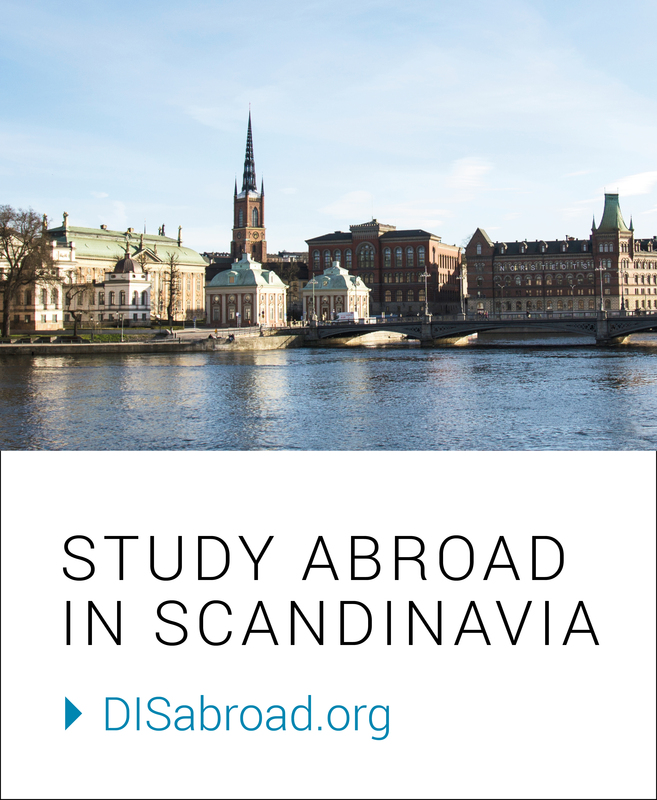 The opportunity to visit world-class research facilities, learn from esteemed professionals, AND still take in the beautiful scenery outside the metropolis of Stockholm is an opportunity quite unique to DIS and one of my favorite aspects of the program! Next The World, Sexuality, and… Well, Me?